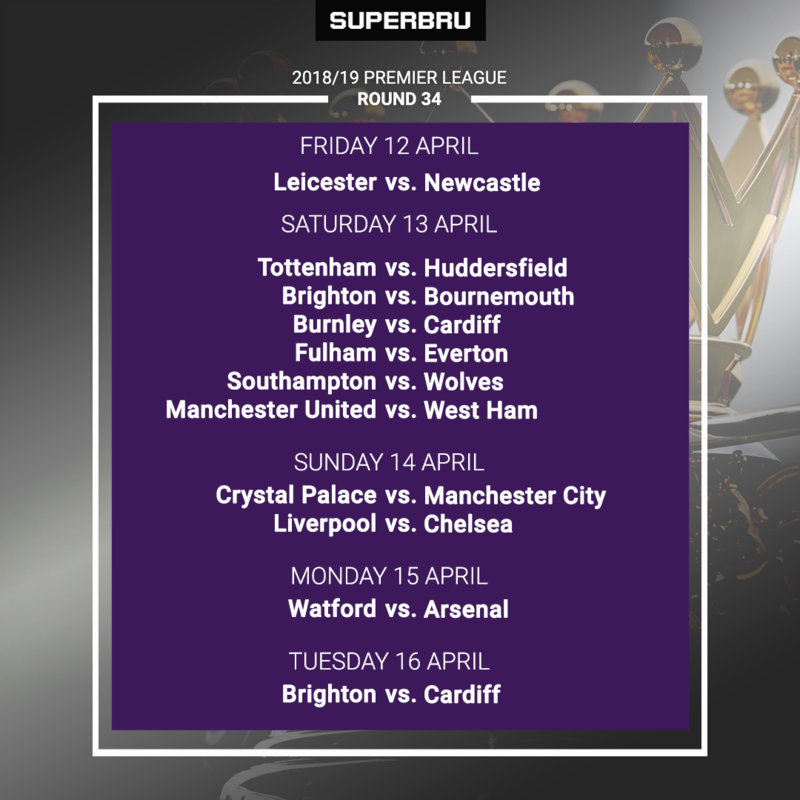 Round 33 of the Premier League wasn't great for most of the Superbru community or myself as I managed the average of 3/6 correct picks and no exact scores. Burnley and Palace both pulled off impressive away wins while Everton's victory over Arsenal wasn't entirely unexpected given the Gunners' away form, it's still a little surprising to see Silva's Toffees have managed to string three wins together, though. That said, I'm backing them to make it four this week! In Round 34 we have 11 games with Brighton and Cardiff the two sides playing twice. The action begins this evening with Leicester vs. Newcastle so make sure you get your picks saved as soon as you've finished reading through mine and telling me which I've got wrong! I'll be especially confident that Brighton will win this match if they get a result against Bournemouth but I'd expect them to get three points regardless against Cardiff. I won't be making my pick until Tuesday evening but I think the Seagulls will have the better of a fairly dull affair that will go under the radar anyway due to the Champions League action taking place on the same night.